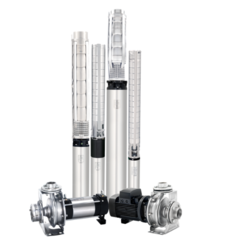 We are known as one of the leading manufacturers, suppliers and exporters of a wide gamut of Submersible Pumps. 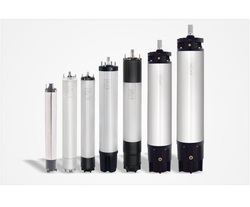 Offered range of submersible pumps is manufactured and fabricated from best quality material procured from trusted vendors and is highly appreciated for its longer service life. These submersible pumps can be availed from us by our valuable clients at competitive market rates. Along with several other supreme quality Submersible Well Pump, we are also offering our clients these top-grade submersible well pumps. 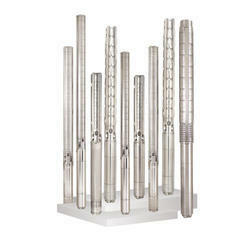 These submersible well pumps are considered to be one of the most efficient and reliable kinds of pumps which are both used for domestic as well as industrial purposes of pumping water from the deep sources of water inside the ground to several multi-level buildings. These submersible well pumps are made up of supreme quality raw materials which make it durable, efficient and reliable for long-lasting use. We are one of the leading names in the industry engaged in manufacturing and supplying a qualitative range of Submersible Pumpsets in the finest quality of raw material sourced from the trusted and reliable vendors of the industry, these products are non-corrosive, and long-lasting. To meet the variegated requirements of our valuable patrons, these Submersible Pumpsets products are available in various designs in accordance with the needs of our clients. Along with it, these products are quality checked for flaws and errors. Submersible motor & pumps for deep wells of 4" (DN 100 mm). Sized for connection to the motor according to NEMA standards. Delivery casing with the built-in non-return valve. 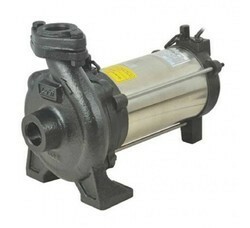 W Type Pump is completely manufactured out of AISI 304 Sheet. Impellers: Radial flow impellers. W1A,W2A,W3A,W5A. Mixed flow impellers. W8A, W14A. 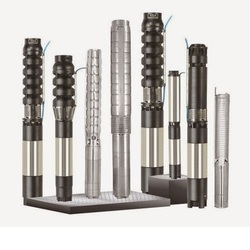 Backed by a team of an experienced workforce, we are able to bring forth Stainless Steel Borewell Submersible Pump Set. These products are manufactured using finest quality materials, obtained from the most reliable and trusted vendors in business. Furthermore, we have a set of advanced machinery and technology contributing to the high quality of the product. The finished products are quality tested to check for flaws and errors. Submersible Water Pump made out of high-grade stainless steel they can withstand the harsh abrasive and corrosive environment during its lifespan. The octagonal rubber bearings and built-in sand protection shields are designed to ensure that sand is removed from the pump and motor by the water that is being pumped. Submersible pumps made out of materials other than stainless steel can run very well in cold, clean & clear water. However, groundwater contains abrasives like the sand which can the quickly wear out both the pump & motor. Lubi has hence designed & developed the J & W series Stainless Steel Submersible Pump which made completely out of high-grade stainless steel & rubber of premium quality to ensure that the suspended particles do not wear out the pump. With the help of our team of experts, we are able to provide our valued clients with Open Well Submersible Pumps. These products are widely demanded its strong construction and long service life. Our products are manufactured with high-grade raw materials obtained from the finest vendors in the industry. The final products are quality-tested to deliver perfectly finish products to our customers. Furthermore, we are able to design the products according to the desire of our customers. We hold our expertise in manufacturing, supplying and export of a wide assortment of Centrifugal Monoblock Pump. 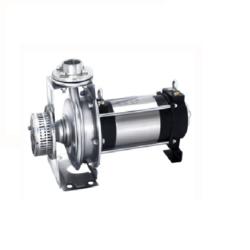 We manufacture these centrifugal mono pump set using premium quality raw material and as per international quality standards. These are basically used for booster service, pumping brine, alkaline solutions, oils, and benzene. 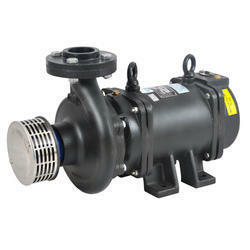 We offer these industrial centrifugal mono pump set at reasonable price. 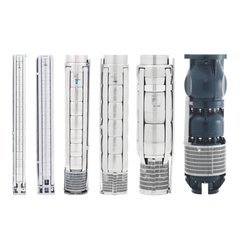 We are a preeminent manufacturer, supplier and exporter of a broad spectrum of superior quality Vertical Multistage Submersible Pump for Industrial, Housing Complexes, Hotel, Hospitals, Commercial Complex, Cinema Halls, Railways, Multiplexes, Community Supplies, Building and Construction use.The range made available by us comprises of the best quality in international standards with perfect designing and high durability that are sourced from the most authentic vendors of the market. Offered at affordable prices, our product-line is applauded for its attractive sizes, perfect finishing and eminent durability and excellent working. We offer Stainless Steel Submersible Pumps with energy- efficient duty points ranging from 1m3/h to 280 /h. The pump range consists of many pump sizes and each pump size is available with an optional number of stages to match any duty point.